It’s a lesson the community learned almost three decades ago when the government of Trinidad and Tobago first created a tour guide training course in the north-eastern region. Dennis Sammy, Treasurer of the Caribbean Natural Resources Institute (CANARI), also a community leader from Matura, was part of the course. But instead of just working as tour guides, the community had a bigger vision of conservation, at a time when people were “killing lots of turtles”. 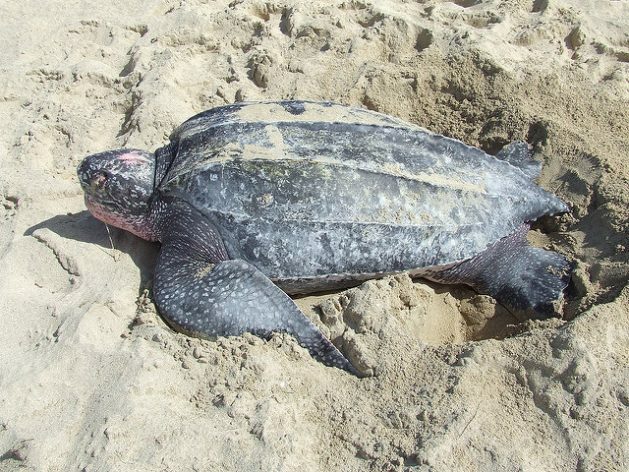 The area of Matura is one of the few places in the world where the leatherback turtles nest. Sammy tells IPS that it is also easily accessible via a beach road, something which places the turtles at risk to poachers. But in four years the community residents, who had formed a conservation organisation, were able to stop the slaughter of turtles, Sammy tells IPS. The residents themselves had been part of the problem initially, he adds. By 2000, the population of turtles rose as a result of the conservation efforts, thereby creating a problem for local fishers as up to 30 turtles a day became caught in their nets. Now, ecotourism is practiced and people pay to come watch the turtles nesting. 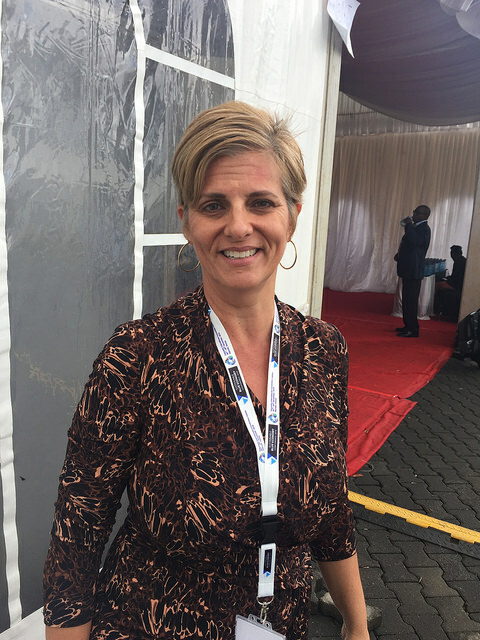 Sammy is one of the participants at the Sustainable Blue Economy Conference, which is currently being held in Kenya and spoke to IPS alongside a side event on blue enterprises. He uses the above example of turtle conservation as a key example of a community-led intuitive during the discussion on the blue enterprise titled “SIDS inclusive economic development through community-led conservation and social enterprise”. “We have seen one turtle, by documenting and tagging it, come up so many times and we have been able to identify the number of people seeing this turtle. And we have traced back the value that these people pay to come and look at this turtle, and it’s a very high value,” Sammy says. He explains that this is clear to the local communities that, “a turtle is worth more alive than dead”. Nicole Leotaud, Executive Director of CANARI, a non-profit technical institute which facilities and promotes participatory natural resource management, says that in order to engage further community engagement, the Local Green-Blue Enterprise Radar, a tool that engages small enterprises by questioning them about their sustainability. The radar is a list of questions, with each question being an indicator related to the SDGs. It looks particularly at poverty, environmental sustainability, well-being, and good governance. This happens through a facilitated process where each and every member of the enterprise, not just business leaders, are asked probing questions. “The blue economy and green economy are very top-down concepts being imposed on us. How do we make it real and how do we involve local communities and recognise small and micro enterprises as part of economic development? CANARI asked the questions how local, rural and marginalised communities could become part of the movement that was not only delivering economic benefits to communities but also asked how these communities could practice environmental sustainability. “The radar is really designed for community enterprises that are using natural resources,” Leotard tells IPS. Leotaud explains that the organisation Grande Riviera Turtle Conservation experienced a similar process of discovery. “One community enterprise working on turtle conservation have big tanks where they keep baby turtles, if these have been born in the day,” Leotaud says. She says thanks to the radar, the organisation then looked into not merely conserving turtles but also conserving water and using renewable energy. “They said can we think about renewable energy. It would not only be good for the environment but it would be a steady energy supply because [they are based] in a remote village where they are cut off [from electricity] all the time. “They realised that they can do better in terms of energy and water. And they realised they have a few powerful leaders but they are not doing enough to engage other members of the enterprise and bring them in, they are not doing enough to build partnerships,” says Leotaud. Mitchell Lay of the Caribbean Network of Fisherfolk Organisation says that in order to help community enterprises become part of the blue economy and to become even stronger, the actors already operating in the space have to be recognised. Lay says support is critical because of the nature of the enterprises as they are small and micro and that their sustainable development needed to be promoted. She explains more enabling policies were needed and that CANARI was working on building a more enabling environment for the micro enterprises. She says that community enterprises don’t have access to finance, and that the technical capacity available in countries for enterprise development was not tailored for them.